Birth injuries may be caused by a car wreck, slip and fall, or medication taken by the mother during pregnancy, but by far the leading cause of birth injuries is medical malpractice. Birth injuries can be traumatic for both mother and child and can be injurious or life-threatening to both. Birth injuries may result in lifelong physical or cognitive deficits for the child, and in the worst case may result in the tragic wrongful death of the child. The Tampa birth injury lawyers at The Palmer Law Firm understand the significant lifetime costs and challenges that confront individuals born with cerebral palsy or other birth injuries. We help families throughout Tampa deal with these costs by holding doctors and hospitals accountable for their mistakes and ensuring that children and their caregivers have the compensation they need to face the otherwise insurmountable costs of a serious birth injury. Preventing birth injuries requires paying close attention and providing adequate care to the mother and fetus during pregnancy, labor and delivery. The mother should be monitored throughout pregnancy for weight gain and gestational diabetes, and the obstetrician should have a thorough understanding of the mother’s medical history, including any prior difficult pregnancies or the need for genetic counseling. The fetus should be monitored as well through ultrasounds and fetal heart monitors as necessary. The presence of acidic blood or other indications of fetal distress should be identified and dealt with promptly and appropriately. Cerebral Palsy – If the fetus is deprived of oxygen during labor and delivery, the result is brain damage that affects the child’s motor functioning and may cause cognitive defects as well. HIE – In addition to Cerebral Palsy, other brain damage, such as Hypoxic Ischemic Encephalopathy (HIE) can occur due to oxygen deprivation during labor and delivery. Common causes include when the umbilical cord is wrapped around the neck, or when doctors delay too long in ordering a c-section. Erb’s palsy – When too much pressure is applied during delivery or the infant’s body is impacted against the mother’s pubic bone, the peripheral nerves in the shoulders may stretch or tear, causing permanent paralysis of the arms and hands. Erb’s Palsy is also known as Klumpke’s palsy, brachial plexus injury, or shoulder dystocia. Clavicle Fracture – Mishandling the fetus during a difficult vaginal birth may break the clavicle, or collarbone. Lacerations – The fetus can receive lacerations during a negligently-performed caesarian section. Facial Paralysis – The improper use of forceps or other mishandling during delivery can place undue pressure on the facial nerve (seventh cranial nerve), resulting in permanent facial paralysis. Peritonitis or Pneumonitis – When the delivery period lasts unreasonably long or is unduly stressful, the fetus can have a bowel movement in the womb, with meconium leaking into the amniotic sac. This material may then be aspirated by the fetus, causing potentially life-threatening respiratory or abdominal infections. Breech Birth – In about four percent of births, the fetus is positioned feet first or buttocks first in the birth canal, rather than the optimal head-first position. Obstetricians and nurses should be aware of the possibility of a breech baby and trained on how to deal with the situation appropriately. Mishandling the fetus during a breech birth can result in many of the injuries described above. Other birth injuries may occur due to improper use of vacuum extractors, anesthesia errors, or the failure to order genetic counseling when indicated by the parents’ medical history or other factors. As with other cases of medical malpractice, birth injury claims can be challenging to bring and prove in court. Complex legal and medical issues must be addressed and explained in a clear, persuasive fashion, and an aggressive approach is often necessary to counter strong opposition from hospital corporations and their insurers. 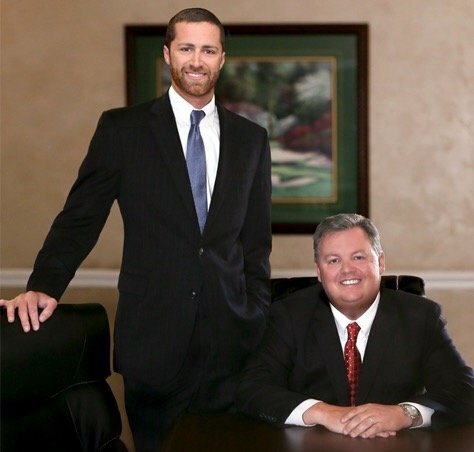 Having a team of experienced Tampa medical malpractice attorneys on your side with the resources and determination to see your case to a successful conclusion can be critical to obtaining the compensation you need to deal with your child’s serious injuries. Birth injuries are always tragic, but the biggest tragedy of all occurs when the birth injury could have been prevented had the medical staff performed with a greater degree of care and competence. In Tampa, call The Palmer Law Firm at 813-506-5651 for a no-cost, confidential consultation with one of our Tampa birth injury lawyers regarding your rights for compensation after a serious birth injury.